This recipe was originally in a post about Charles Fourier’s sweet tooth published on 12 June 2013, translated and adapted from a recipe in Néo-physiologie du gout par ordre alphabétique, ou Dictionnaire général de la cuisine française ancienne et moderne (Paris: 1839). It makes the lightest, puffiest, most delicious and dainty little tarts, perfect for tea, with coffee or as a light dessert. Fluted pastry cutter 7cm diameter. Pre-heat oven to medium hot, 180°C-200°C / 350°F-400°F. Melt the butter and allow it to cool. In a bowl mix together the two whole eggs and 2 egg yolks and stir in the icing sugar, crushed nut meringues, orange flower water and the pinch of salt. Mix in the cooled melted butter. Beat the 2 egg whites into soft peaks and fold them in to the rest of the mixture. 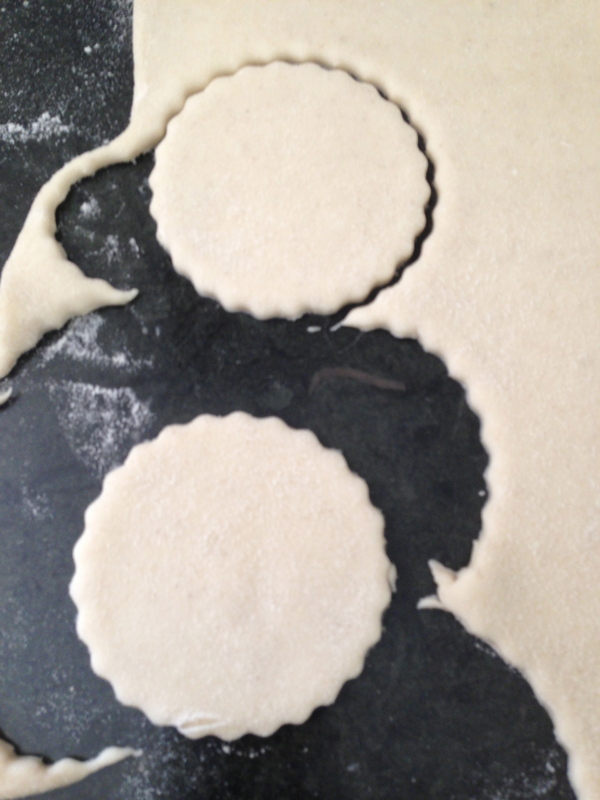 Roll out the puff pastry to a thickness of 6mm (2/8”), and cut into 30 or so pieces with a 7cm (2 6/8”) fluted pastry cutter. 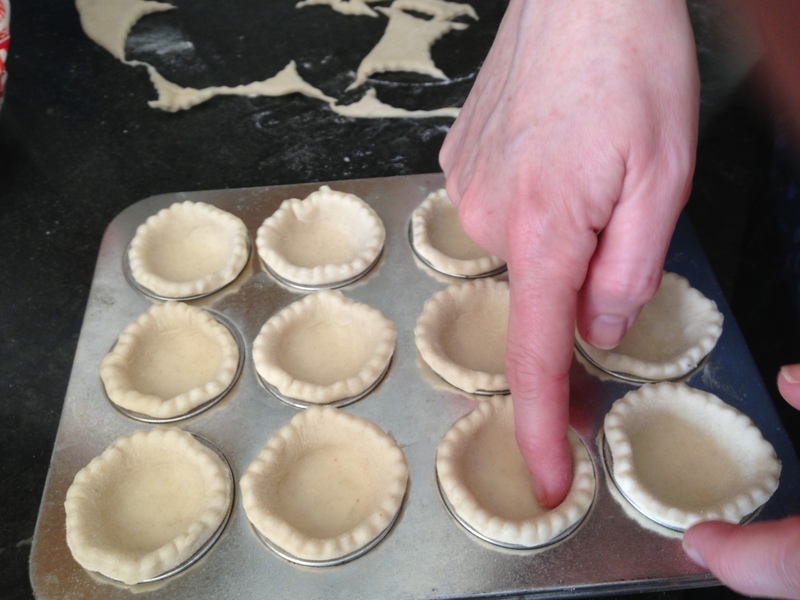 Gently place them in lightly buttered moulds 5cm (2”) wide and 2cm (6/8”) deep. 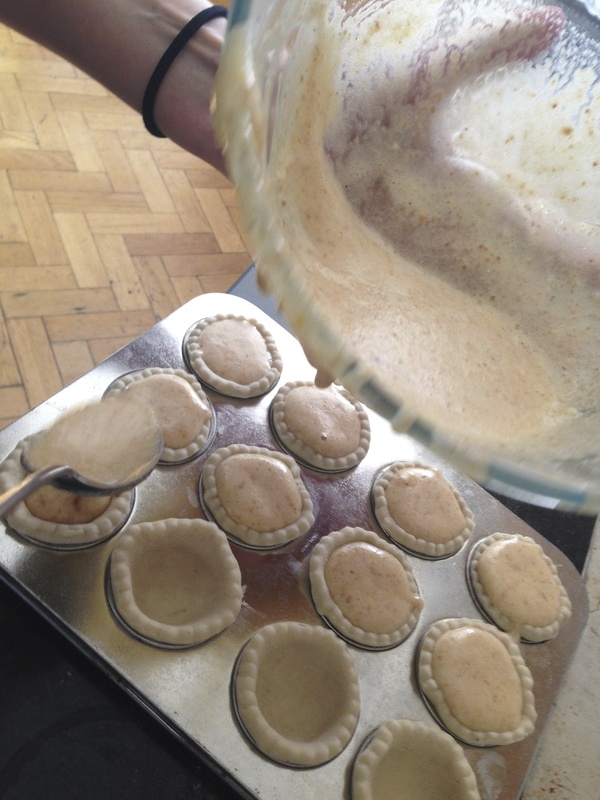 Fill the pastry cases with the mixture. 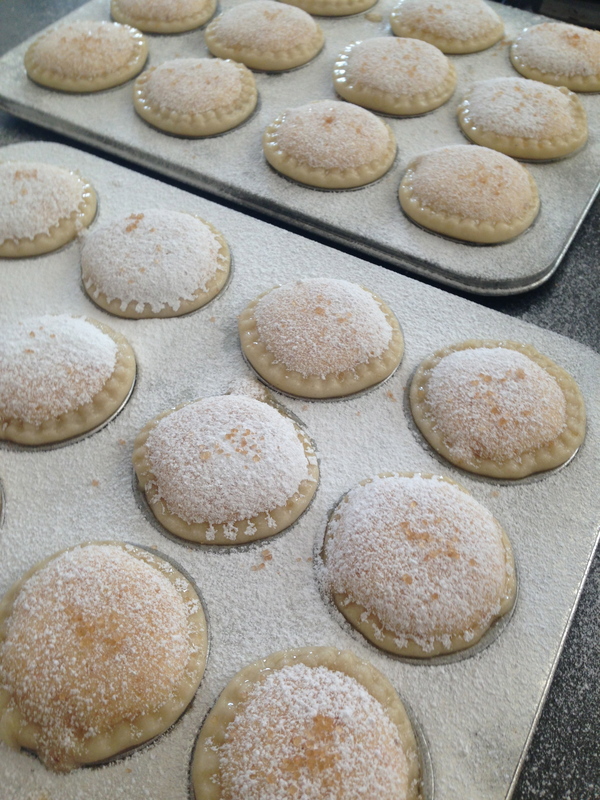 Sift icing sugar over them to give a light dusting over the whole surface, and sprinkle a few grains of Demerara sugar on each one. Bake in a medium to hot oven, with even bottom heat, for about 10-15 minutes. 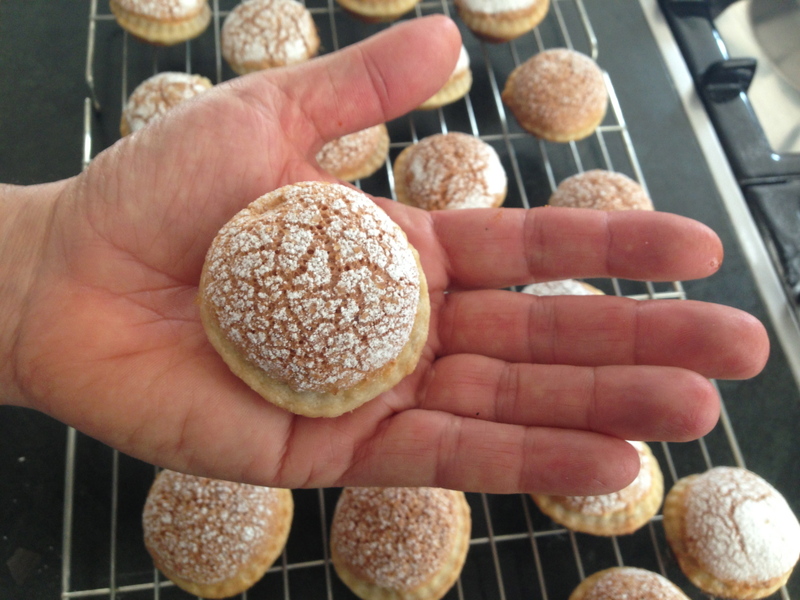 The pastry and the filling will puff up to an unlikely-seeming height – if they don’t, adjust the oven temperature and stand your filled trays on a hot metal tray or baking stone. 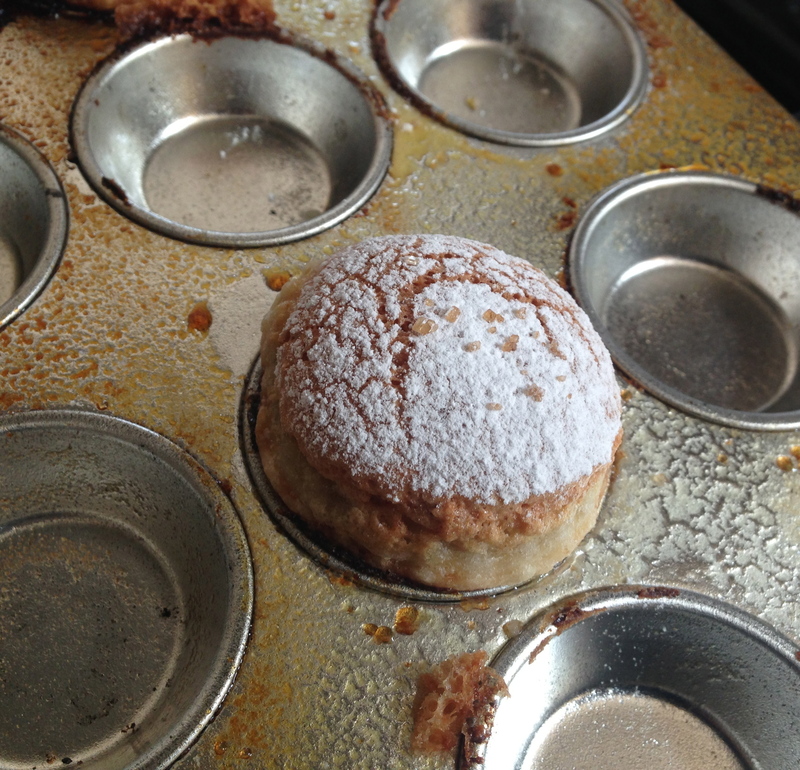 Serve hot or cooled on the day of baking. They don’t really need any embellishment but if you want to plate them as a dessert they are good with some fruit coulis (raspberry or blackberry) on the side.